Irsap, in collaboration with Ceramica Sant'Agostino, Effegibi and Vismaravetro, organizes two events at the H2OTTO exhibition space thanks to Towant. 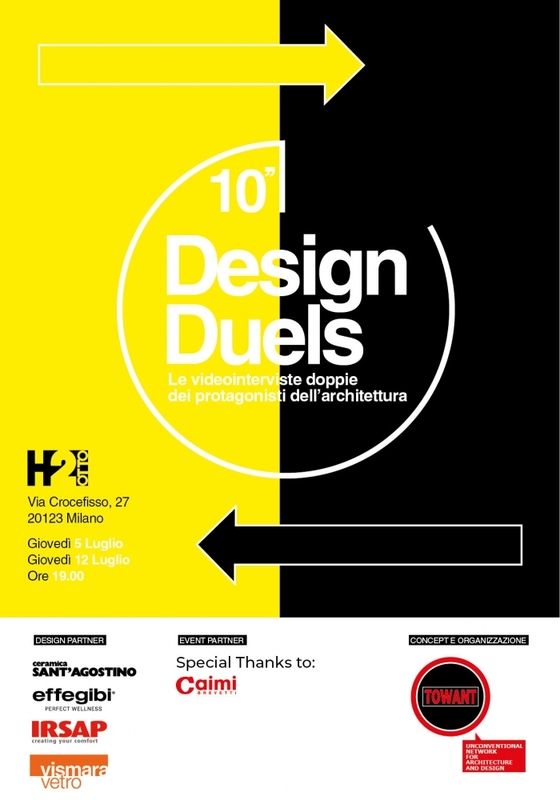 In these two summer evenings, Thursday 5 July and Thursday 12 July, various architecture studios will "compete" in double video interviews. The interviews will take place at H2Otto, Via Crocefisso 27, Milan (Via Molino delle Armi entrance).